The two brothers have been accused of posting disrespectful content on their website. After four years on the run abroad and at home, Qaisa and Amoon are now in the same Lahore prison. The Centre for Legal Aid, Assistance and Settlement (CLAAS) is dealing with their case. 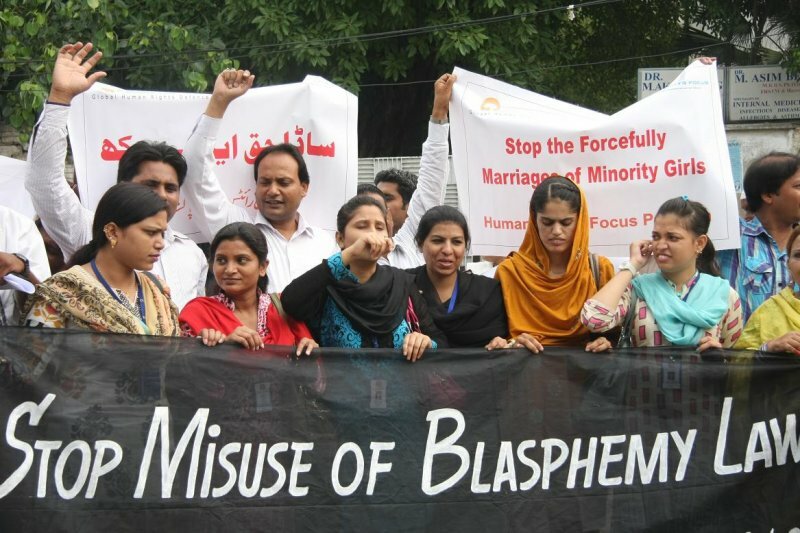 Lahore (AsiaNews/CLAAS) – Two Christian brothers have been arrested on blasphemy charges after one of them was accused of posting disrespectful material on his website. A case has been registered against Qaisar and Amoon Ayub of Lahore in relations to accusations dating back to 2011. According to Qaisar, he closed his account in 2009 but one of his Muslim friends, Shahryar Gill, somehow managed to restore the website, while ownership remained in Qaisar’s name. The story goes back to 2010 when Qaisar worked at the Raja Centre, Lahore, at the international office. Qaisar is married to Amina and they have three children, while Amoon is married to Huma who is a teacher at the Cathedral School, Lahore. One day an argument broke out at Qaisar’s office between his friends, when one of them made a comment about another’s sister. The aggrieved friend blamed Qaisar and warned him that it is a serious matter in Pakistan. Qaisar started to receive death threats from his friends and then went into hiding. When the situation deteriorated both brothers fled to Singapore without telling their wives, but after a month they returned to Pakistan and then Amoon told his wife the whole story. The situation was still tense, so they left again in November 2009 for Thailand, in search of security, but could not stay there for too long time and in 2012 went back to Pakistan. Qaisar was informed by one of his friend that the authorities were looking for him and that he could be arrested at any time because a blasphemy case had been registered against him. On 10 November 2014, while on his way to work at the Kids Campus DHA, Amoon was arrested and told that a case had also been registered against his brother. The police asked him about his brother Qaisar and he told Amoon to stay hidden because he was accused under section 109-A PPC. Qaisar was later arrested and sent to District jail Jhelum. Fed up with life in Pakistan, Amoon finally decided to leave the country. On 17 November 2014, he was arrested by Immigrant Police at Lahore Airport. Later police sent him to Jhelum District Jail charged with the same offence as his brother. Huma has done all she could to get her husband released, but has failed. However, she has not lost hope and finally approached the Centre for Legal Aid, Assistance and Settlement (CLAAS) in June of this year for legal aid and support. CLAAS is an interdenominational organisation working for Christians persecuted for their faith in Pakistan. It works for religious freedom, and against persecution of Christians in Pakistan under blasphemy and other discriminatory laws. Qaisar’s 14-year-old son became mentally unwell because of his father’s imprisonment, and CLAAS has arranged treatment for him and is trying its best to support both families, but prayers are equally important. CLAAS is providing both brothers with free legal advice and have visited them in Jhelum, jail. It is also going to apply for their bail once the Eid holidays are over. Missing intellectuals and activists risk death penalty, charged with "blasphemy on social networks."